When you require information about your benefits and retirement planning you need resources at your fingertips to make informed decisions FAST. OPM does have a comprehensive site, http://www.opm.gov, that you can search and find abundant information, however it is often difficult to locate what you are looking for. Plus they don’t offer advice such as the best route to take for your personal circumstances. That’s why I designed and published http://www.federalretirement.net in 2004, the year I retired from federal government. I attended several agency sponsored retirement planning seminars the year I retired and came back with more questions than answers. My intent from the start was to provide our site visitors an insider’s perspective derived from firsthand experience and from actual federal employees and annuitants. We have experienced guest writers and Forum Hosts working on our blog and website to keep it up-to-date and relevant. I receive many requests like this and I’m able to steer them to the resources they need. Many times, the article is several years old and only now do they need the advice, such as Beth who ‘s husband will sign up for Medicare next year. I wrote the Medicare series in 2014 when I was signing up for Medicare. We now have over 250 retirement planning articles posted on our blog and all of them were sent out to our newsletter subscribers concurrently with the blog posting. If you are not already a newsletter subscriber, sign up now. Last month we set up a comprehensive retirement planning alphabetical article index for our site visitors and newsletter subscribers to use when searching for needed information. The index lists the title of the article and we highlight in BOLD the key words so that visitors can easily get to the subject they need. For example the article titled “Medicare and FEHB Options – What Will You Do When You Turn 65? (Part 1)” is listed in the index under Medicare so if you go to the “M” listings. The second article of the series is titled “What to Consider Before Enrolling in Medicare B (Part 2).” The bold text is the word we use to add it to the index so the index is defined by the subject you seek information about. There are several ways for you to search for the information you need on our sites. First, go to the home page and you will find a horizontal dropdown menu at the top by major subject area. This menu repeats on every page of the site. I spent over two months designing the menu structure to make it intuitive and easy to use. As you curser (move) down the page you will notice that the horizontal menu always stays at the top so you can get to it no matter where you are at on the page. I also added a Fast Track Menu on the home page further down for quick access to majors areas of interest. The link to the article index is at the top of the Fast Track Menu. All major subject areas such as Retirement Eligibility, Annuities, Financial Planning, Benefits such as FEHB, FEGLI, Medicare, Social Security, all have their own pages that outline what you need to know, required forms, how to apply, etc. We provide direct links to OPM and other official sources on these pages and in the resource section at the bottom of each page. If you have a question about Medicare you can go direct to our Medicare page to find the information you need. 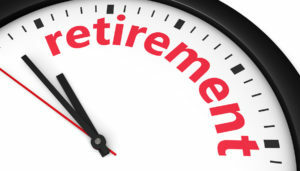 We integrate our retirement planning articles into each of the subject areas on our web site. For example, on the Medicare page you will find links on the Page Menu to the four part series that I wrote about signing up for Medicare. At the bottom of the page under “Resources” you will find direct links to the official Medicare site, Social Security, AARP Guides, etc. All of the information and additional resources you need for your research. Lastly, we have a search feature on most pages. Just type the subject of interest in the search box and click the search button. This feature will search all of our interrelated sites and provides links you can click on for needed information. Our retirement planning blog presents the most recent 12 articles for your review. To find other articles use the article index or you can search the blog site by author. All of the articles written by each author are listed, go to the author listing in the right column just below related links. Click on the author’s name or you can search though all of the articles written for a specific year. When you need benefits and retirement planning guidance visit our site and search for the topic of interest. You can also download our Master Retiree Contact List. This list provides important contact numbers and information that you can keep with your retirement planning file. It is frustrating when you need information and can’t get answers from OPM or your agency’s HR department. If you are retired and call OPM it can take days to get through, their line is always busy and you ultimately have long waits if you do get through. Visit our site and search for what you need and always work with your HR office or OPM to finalize your plans. You will find abundant information on our sites to get you started and that will help you until you can get through to HR or OPM. They are the ones that have access to your Official Personnel File (OPF) and other relevant information. I mentioned this before and it is important, if you are retiring soon be sure to capture needed information from you active service files BEFORE YOU LEAVE. If you are searching for information about a specific subject on our site and don’t find it, let us know. We update our sites daily and are always looking for ways to improve our services.